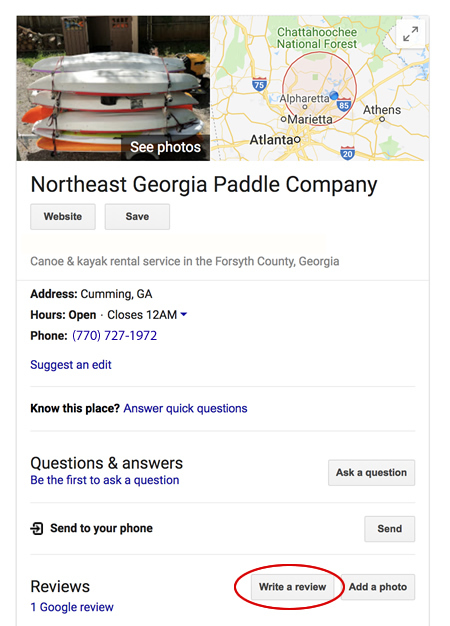 If you have a few minutes and you have a Gmail account, we would really appreciate it if you could also leave us a Google review. 1: Make sure you are logged into Gmail. 3: On the right side of the screen you will see our search result. We would love to hear how your rental was with us. Please complete the following form to let us know. This was awesome. Definitely give it a thumbs up! Great Company! Delivered the Kayak and equipment on time and was very prompt when they came to pick it up. Kayak and paddle looked new. Would definitely recommend them.